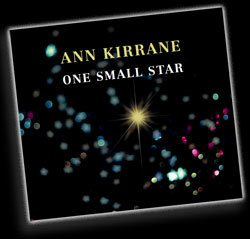 "One Small Star" is Ann Kirrane's first CD. Recorded at Tuam's famous Sun Street Studios by Kenny Ralph and produced by Seamie O'Dowd. The record shows the full range of Ann's musical accomplishments. A sophisticated blend of song, stretching from folk to standards to jazz carry the listener on a musical and magical journey, and expresses all the emotions of a life well lived. 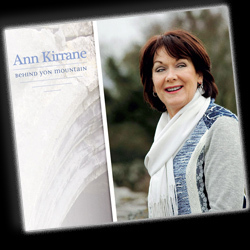 Her clear soaring voice and tender interpretations of the songs are a revelation, and show what a fine vocalist Ann Kirrane really is. She was born to sing! See the Shop Page for a list of retailers or to Buy Online.